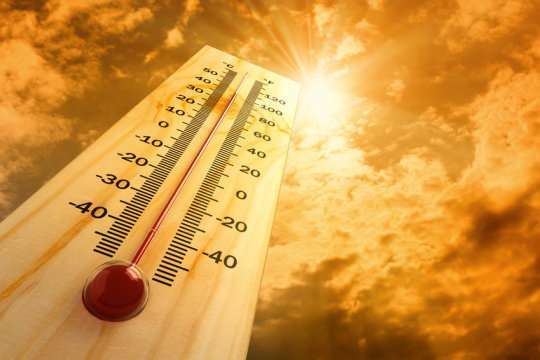 Scientists have suggested that the world’s on track to see its warmest decade since 1850.
International forecasters say the period of 2014 to 2023 will be the hottest in more than 150 years. It’s also forecast that over the next five years temperatures could increase by the critical threshold of 1.5 degrees Celsius at least once in those five years. Head of the Climate Studies Group at the University of the West Indies, Mona, Professor Michael Taylor says the report is no surprise. Professor Taylor who was a Coordinating Lead Author of the United Nation’s Special Report on Climate Change in 2018, says the findings translate to trouble for the country in many areas. He says this will inevitably affect major sectors such as Agriculture and Tourism among others over time. Professor Taylor says its imperative that Jamaica as a regional leader takes smart climate action.